Brave the Unknown! 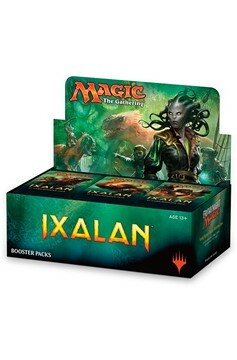 The first expansion in the Ixalan block for Magic: The Gathering, Ixalan is introduced in pre-constructed, 60-card Planeswalker Decks that include a premium foil Planesalker card, a pair of Ixalan booster packs, a strategy insert, and a learn-to-play guide, as well as Bundles that come with 10 Ixalan booster packs, 80 basic land cards, a player`s guide a learn-to-play guide, a card storage box, two deck boxes, and a spindown life counter. 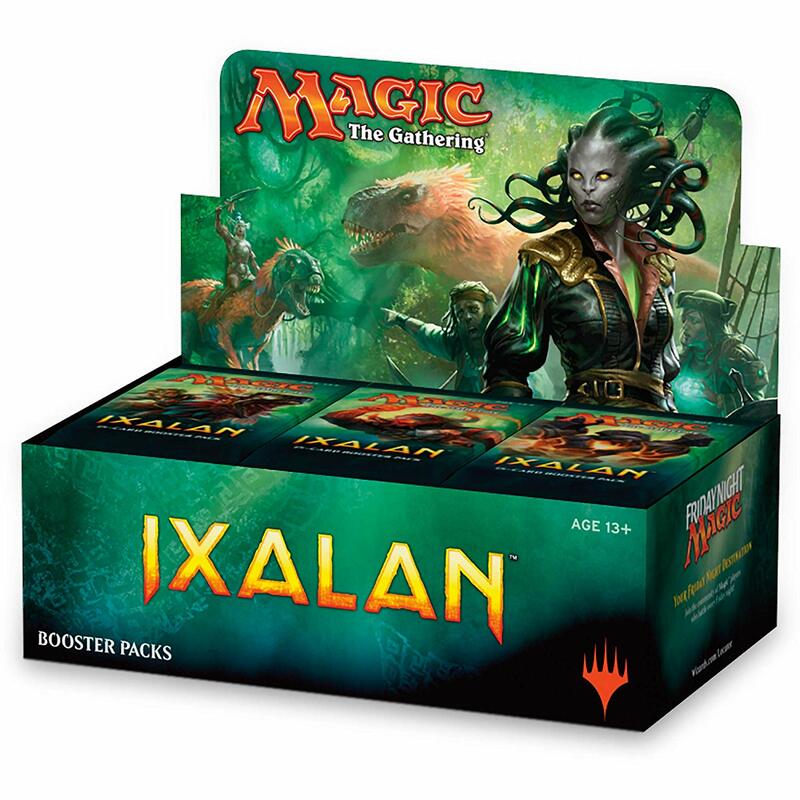 Available in 15-card Booster Packs, Bundle Packs, and Planeswalker Decks. Also available is a Deck Builder's Toolkit, to take your game to the next level!.